When I was in San Francisco I went to a classic diner called the Pork Store Cafe in the Haight. They had a menu item called Eggs in a Tasty Nest and when the friendly waitress told me that it is the most popular item on the menu, so I had to order it. 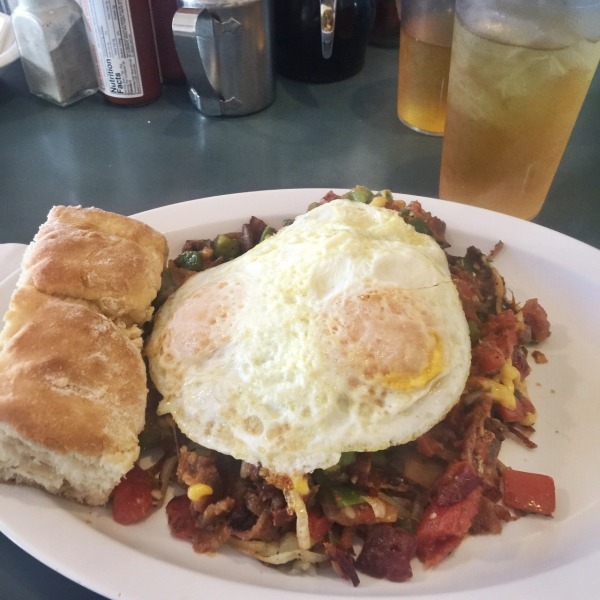 It was described as two eggs nestled in a bed of hashed brown with bacon, grilled green peppers, fresh tomatoes, onions, and garlic, topped with cheddar cheese and served with biscuits. While it was delicious, it wasn’t the neat little nest filled with eggs, bacon, peppers, onions, and garlic that I had expected. When I got back home, I decided to create my own version of the breakfast with an Italian spin. Allow me to present: Eggs in Hash Brown Nests. It combines all my favorite parts of breakfast. 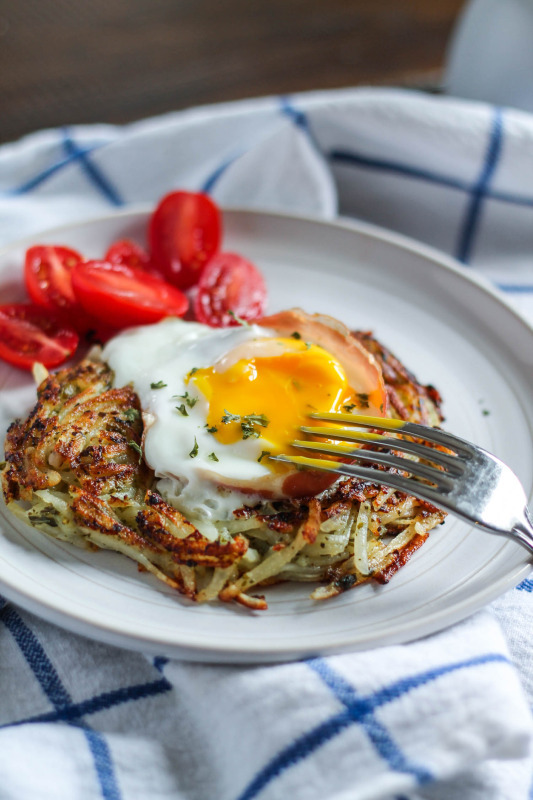 Eggs in Hash Brown Nests consists of hash browns seasoned with pesto that are cooked until browned, and shaped into a nest. Next there is a piece of crispy baked prosciutto. Why prosciutto instead of bacon? Trust me, baked prosciutto is better than bacon and it’s even better for you! 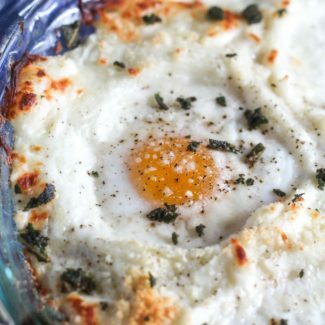 A bit of goat cheese is placed on the prosciutto which is formed into the shape of a cup before being baked, and finally an egg is cooked on top. 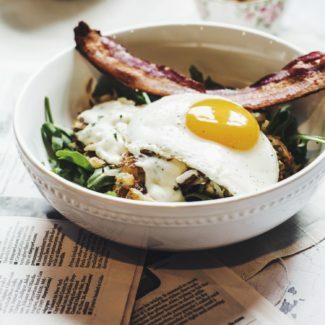 The pesto and prosciutto give this breakfast dish an Italian influence, and I love the flavor combinations and especially the richness from the runny egg yolk. 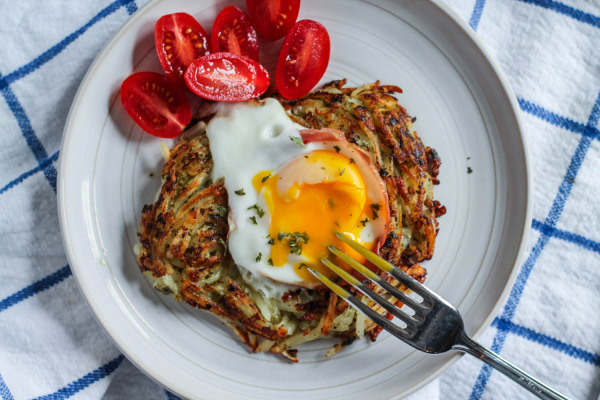 You could experiment with the egg in a hash brown nest concept and make it your own – let me know if you think of any fun new versions! 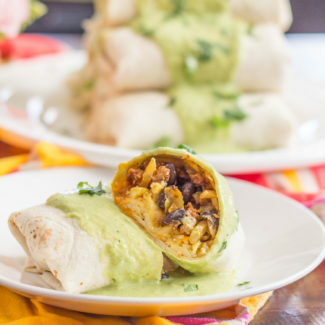 I used store-bought hash browns to make this recipe, and they are one of my favorite secret ingredients, since they save lots of time. Find them in the grocery store near the eggs, they come in green bags. 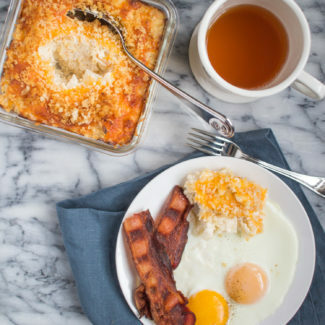 I usually have a bag of hash browns in the freezer, it’s a simple way to make brunch at home a bit more fun. Start by crisping up the prosciutto. You can skip this step and use raw prosciutto but it is amazing served crispy. 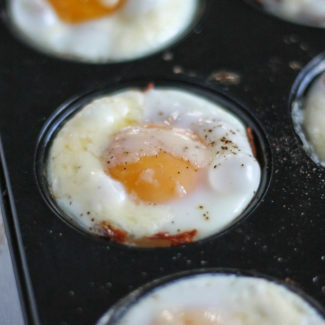 Find a small oven safe bowl - or a muffin tin, and form the prosciutto into a small cup that will later hold the egg. 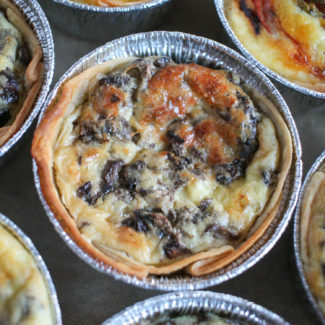 Bake this at 350 degrees for 10 minutes, or until crisp. While the prosciutto is baking, start work on the hash browns. Place the pesto and hash browns in a small skillet, season with salt and pepper, and stir until the pesto is evenly coating the potatoes. Cook over medium heat and flatten out the hash browns cooking one side of them. 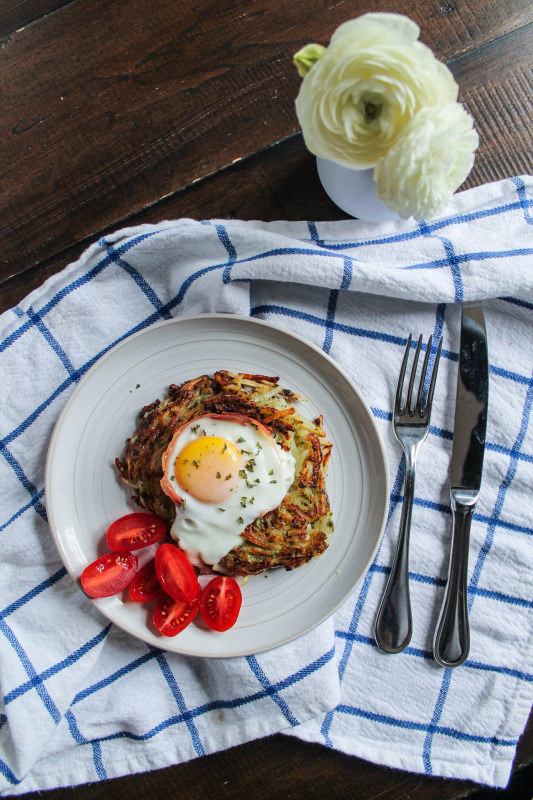 Once one side has browned, flip the hash browns and form a nest shape (a circle with a hole in the middle). 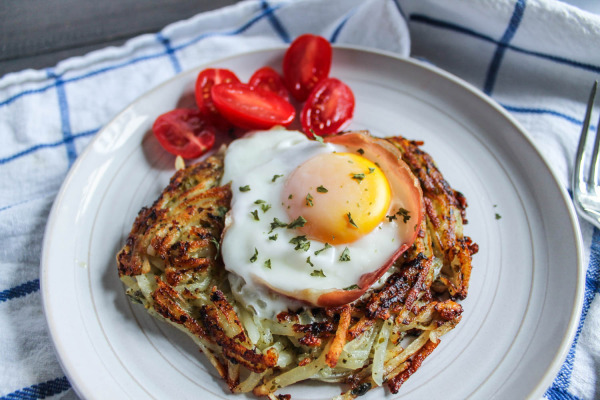 Place the crispy prosciutto into the hole in the center of the hash browns. Add the goat cheese on top of the prosciutto, and then crack the egg over the goat cheese and into the prosciutto cup. Cover the skillet and reduce the heat to medium low (use a plate if the skillet doesn't have a lid). Cook until the egg white has set, this will take about 4 minutes. Serve immediately - tomatoes are great on the side.